Other Ingredients: Dicalcium Phosphate, Microcrystalline Cellulose (vegetable), Magnesium Oxide, Stearic Acid, Magnesium Stearate, Silica, Aqueous Coating, Modified Cellulose, Natural Vanilla Flavor. Manufactured without milk, egg, wheat, gluten, sugar, sweeteners, salt, wax, artificial coloring or preservatives. Color may vary. Suggested Use: As a dietary supplement, take 2 tablets 2 to 3 times daily or as directed by your health care professional. 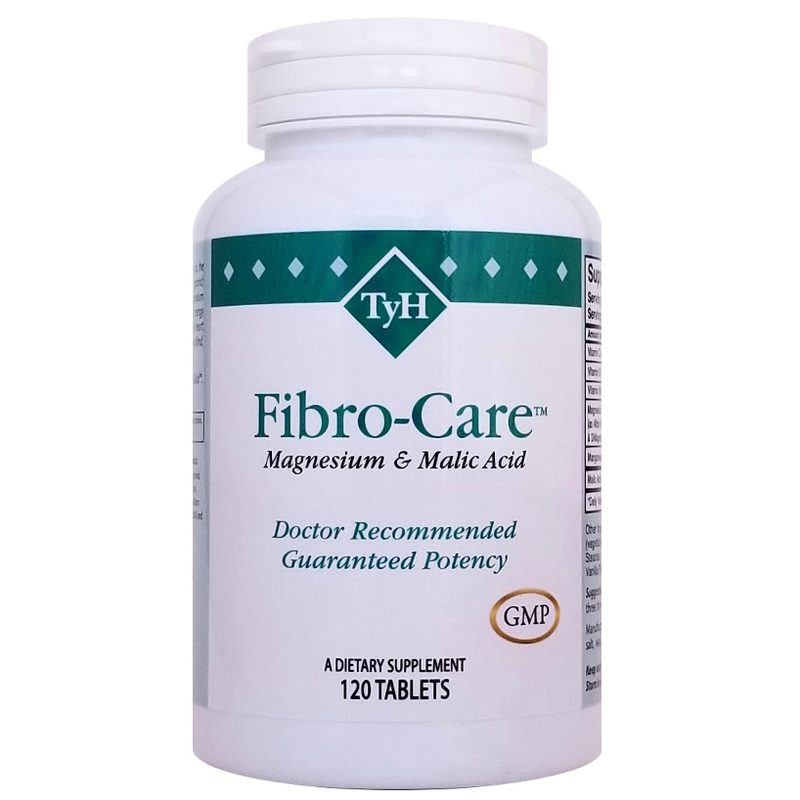 After using different brands of magnesium for several years, I finally discovered your website and started using Fibro-Care™ for my fibromyalgia. What a difference it made! At age 75, I feel better than I did at 55! I recommend it for anyone who suffers from fibromyalgia pain. I also know that I can trust your products to be the best and safest on the market. I have fibromyalgia and took Fibro-Care™ some time back. I got to feeling better and like so many do, I quit taking it. Thought I would save money. This spring I had a bad flare up so called and ordered more and have been taking it faithfully and feeling better. I have learned my lesson. Using Fibro-Care™ has really helped me when I have a flare up of my fibromyalgia and all my muscles hurt. This helps them to relax and keeps me moving. I use it daily but increase when I have the extra muscle pain. I also use the Multi-Gold™ vitamins and the Digesta-Care 8™ and the Digesta-Care ES™. Thank you for your service to help people who have fibromyalgia. I have used To Your Health products for about 8 years now. They have been great in helping control my fibromyalgia symptoms better than anything else I have tried. Everybody at TyH has been so helpful. Thank you for the Fibro-Care™!!! I’ve been on your Fibro-Care™ for 16 years. I've tried other magnesium that was much more expensive and had a metallic taste and you could hardly get them down. Then someone told me about your company. I am really pleased with yours. It's just wonderful! I was diagnosed with Fibromyalgia 19 years ago when I was 54 years old. I am 73 years old now and I have been taking Fibro-Care™ for 17 years. A friend told me it was a must to take for Fibro. I felt a subtle difference within a few days and it continues to be my first line of defense. Other brands or combinations simply don't work as well as the Fibro-Care™ combination. I've told others that it is a must and I've shared a week's supply and order information so they can also feel better.